In the last few years, Instagram has been rolling out new and exciting changes to their platform. In June 2018, Instagram users were introduced to IGTV (Instagram’s version of social television where users can upload and share 1-hour videos.) And as of August, profile verification isn’t just reserved for brands, celebrities, and public figures only. Now, anyone can request to get the blue “verified” badge next to their name, but the process still isn’t that easy. 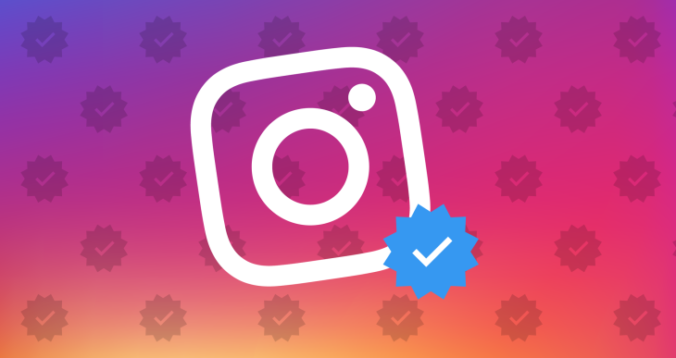 Let us walk you through the process of getting verified on Instagram as well as the benefits that the blue badge brings. The verification process consists of different steps. It’s essential to provide your proof of identity on a few social media platforms. If you already have a verified Facebook, then you’ll easily verify your Instagram as well. Another way to do it is to increase the number of your Instagram followers because that tells Instagram that you’re a real person. Once your application has been reviewed (you’ll have to wait a bit), you will be notified if your request is approved or denied. Right now, Instagram verification is in high demand so not every account will get verified, so the designation doesn’t lose on its value. If your account meets all the qualification, Instagram will give the blue badge. Follow Instagram’s Community Guidelines and Terms of Service. Authentic. You have to prove that you’re a real person, registered business, or brand. In other words, be who you say you are. Public. Make your account public and viewable to everyone. Complete. Fill up your Bio section, add a profile photo, and upload at least one post. Unique. With exceptions to language-specific accounts, only one account per business/person may be verified. Also, Instagram doesn’t verify general interest accounts (such as those that aggregate funny memes or pictures of pets). Notable. When it reviews your application, Instagram will look at whether you’re featured in multiple news sources and whether your name is searched for. When people see the blue badge beside a name, they tend to trust it more. It means that Instagram perceived your account as an authentic account with an organic following, which allows people to find those they want to follow and avoid imposters. Having a blue badge makes an account look exclusive because not everybody can get verified. It adds more power to the brand value, making you feel more confident to share content through your account. People will trust you more, and you can leverage that to include an influencer or two to promote your brand. Another significant advantage of having your account verified is to prove that it’s the only official one, which significantly helps to fight out identity theft. Countless fake accounts impersonate great businesses, public figures, and celebrities. You don’t want people to mistake a phony account for your real one, and perhaps get a wrong impression of you. If I Can’t Get Verified, What Can I Do About It? You need to do everything you can to prove the authenticity of your Instagram account. Share your account in other communication channels. When sending out newsletters or emails, add your Instagram account in the signature. Embed it in your blog posts as well as your business cards, product packaging, and signage at a store or event. Add a link to your website on your Instagram profile. Be sure to add the link to your site, but not a connection to another social network, because Instagram doesn’t tolerate that. Promote your account on other social media profiles and your website. It will clear up the confusion about which account is your official one as well as help a broader audience to find you on Instagram. Include a link to your Insta account on your website, other social media profiles and pages, and any other online profiles. Write a good Bio and keep a consistent brand aesthetic. A strong Instagram Bio must convey personality, show what you do and who you are, include a compelling CTA and relevant keywords. As for the brand aesthetic, establish a consistent Instagram look by using the same filter for all your posts. It will tell your audience that your account is real and legit. When you’ve done everything, go and resubmit your request for verification. If you stuck to a good Instagram strategy and managed to build a dedicated following, you will get your account verified. As a team of experienced social media management professionals, Strong Social can help you improve your social media presence. When someone has a verified account, is he the only one to get posts notifications? No one following him on instagram gets notifications about new likes, posts, and such?